Samsung Proud to be launched Samsung Galaxy S9 & S9 Plus mobile, The mobile comes with Stereo speakers tuned by AKG for Experience audio brilliance, The camera that takes beautiful photos in different kinds of light, Picture low light like daylight. Super Slow-motion camera with 960 fps, 12MP dual super speed rear camera, 8MP Auto Focus Camera. The Mobile is looking very classy, and shine and the mobile is infinity screen and Quad HD+ sAMOLED display. 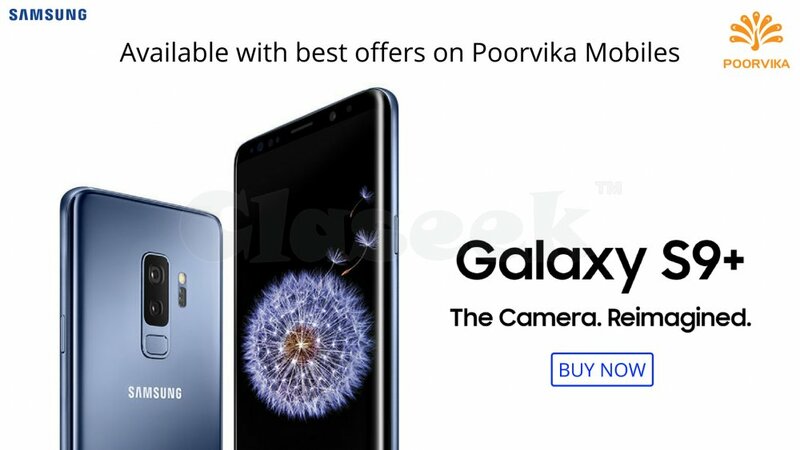 Poorvika Mobiles provides best offers and deals for Samsung Smartphones, To check Samsung Mobile Phones Price List in India at Poorvika Mobiles.